History of international speedway competitions dates back to the 1930s but the format changed several times over the following decades. Today, British riders race in international competitions that are organised by the Federation Internationale de Motocyclisme (FIM) and the Union Europeenne de Motocyclisme (UEM). Grand Prix. The most elite individual international speedway tournament is competed by 15 highest ranked riders plus the leading non-Grand Prix rider. The Speedway Grand Prix is held since 1995 when it replaced the Speedway World Championship. World Pairs. This annual international event is held since 1968 between national teams, with each team consisting of two riders. 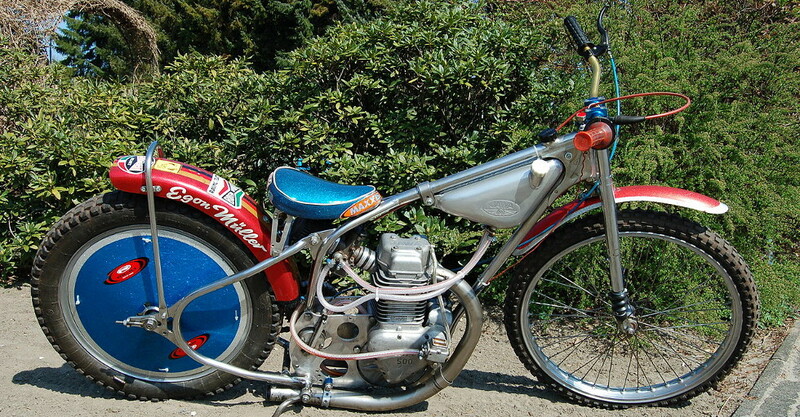 In 1994, it was merged with the World Team Cup into the Speedway World Team Cup which, however, was replaced by the Speedway World Cup in 2001. The Speedway World Pairs Championship was renewed in 2013. World Cup. This tournament was inaugurated in 2001 when it replaced the World Team Cup which was merged with the World Pairs Championship. World Individual U-21. Speedway riders under the age of 21 compete in this Speedway Junior World Championship since 1977. U-21 World Cup. 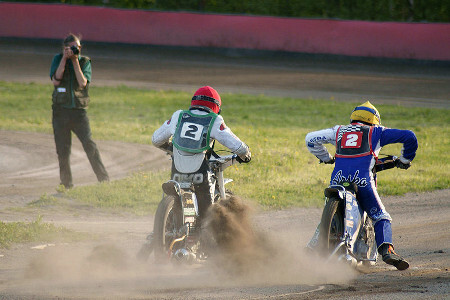 This tournament for speedway riders under 21 is an equivalent to the FIM Senior World Cup and is held since 2005. European Individual. This annual competition is held since 2001. European Pair. Held since 2004, this UEM tournament is an European equivalent to the World Pairs. European Individual U-19. The equivalent to the Senior European Individual is held since 1998. The tournament is a successor of the Speedway European Under 21 Championship (held since 1977) which was renamed the World Under 21 Championship in 1988 when the FIM decided to allow competitors from non-European states. European Team U-19. Held since 2008, this UEM tournament is the equivalent to the FIM U-21 World Cup with the difference that the maximum allowed age of the competitors is 19 years. Just like the FIM, the UEA doesn’t hold junior competitions for pairs.